It's no secret that Real Techniques brushes are among my most favorites. I have reviewed a couple on here and I have been nothing but pleased with them. I mean, what's not to love? 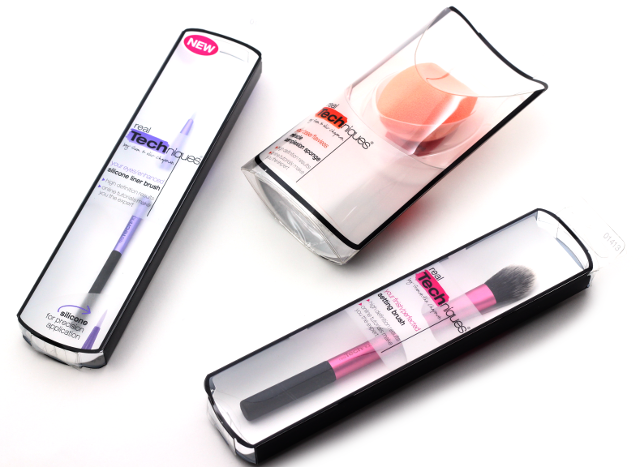 The brushes are of nice quality, they do their job well, they are easy to clean, and they are super affordable to boot. I recently added on three more Real Techniques products to my ever growing collection, and I am going to be sharing my thoughts on them with you today. Let's take a closer look at the Setting Brush, the Silicone Eyeliner Brush, and the Miracle Complexion Sponge. 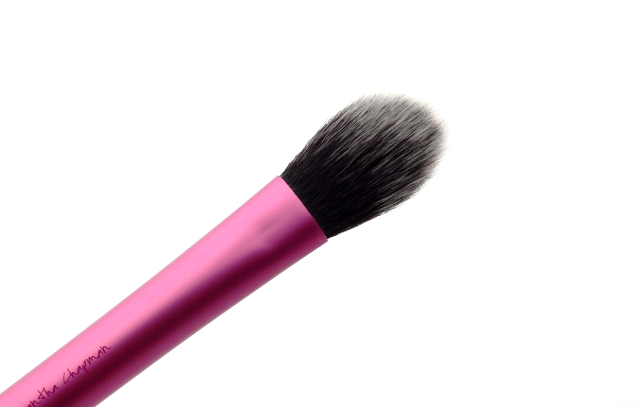 Setting Brush ($7.99): I love to use this brush with my under eye setting powder. Because this always picks up just the right amount of product, I don't run the risk of overdoing it on the powder application. Too much powder can be a disaster-especially under the eye area. This brush also works great for highlighter application. I love the bristles on this brush. They are super soft! Silicone Eyeliner Brush ($5.99): This is probably one of the most interesting brushes I have ever laid eyes on. When I first spotted this silicone eyeliner brush, I knew I just had to give it a try. 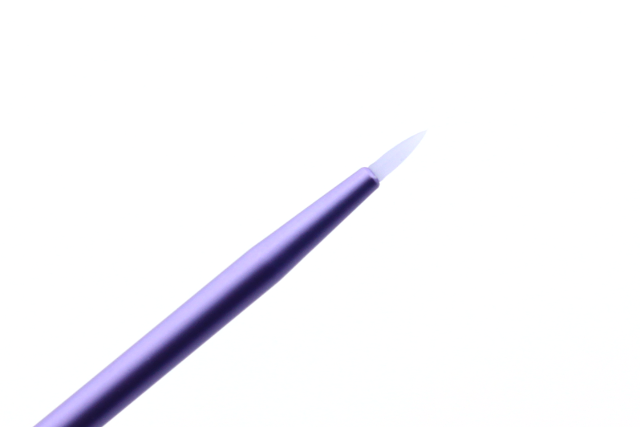 The flexible silicone tip makes eyeliner application (gel or liquid) a real breeze. My gel eyeliner goes on nicely with this brush-no pulling or tugging on lids, and the end results are always smooth with not a jagged edge in sight. One can get total control over the brush, and the size is nice for achieving a thin or thick line. Miracle Complexion Sponge ($5.99): My Beauty Blender was due for a replacement, but before shelling out the money for a new one, I first wanted to try out other options-one of them being the Real Techniques Miracle Complexion Sponge. This sponge is pure awesomeness. I like to use this sponge damp (it expands in size and absorbs less product) to apply and blend out my foundation and concealer. It does the job in a pinch, and the results are always seamless, and smooth. What's really cool about this sponge is that one end is flat and slanted. The flatter edge is great for comfortably working around contoured areas like under the eyes and around the nose. I haven't had these three new additions for long, but they have already taken part in my daily routine. 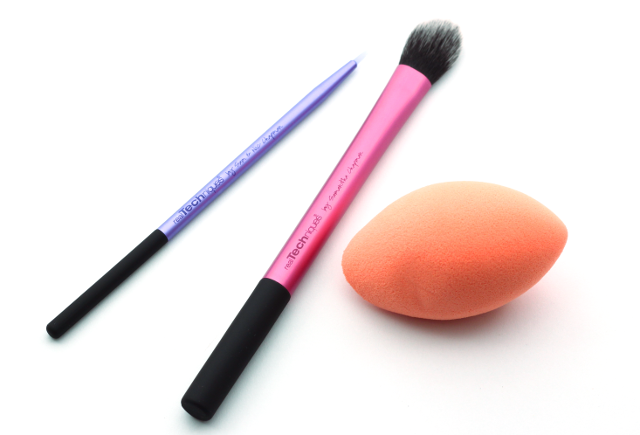 I especially love the silicone eyeliner brush and the miracle complexion sponge. They are total must-haves, in my honest opinion. If you haven't tried Real Techniques brushes yet, I don't know what you are waiting for! I think they are just as great as the higher end options out there, and the flawless finish they impart during makeup application is highly commendable. Which are your favorite Real Techniques brushes? Great to hear that you are a fan of both the setting brush and sponge. You totally need to try the silicone eyeliner brush. It's amazing! Thanks so much :) You are a sweetheart!